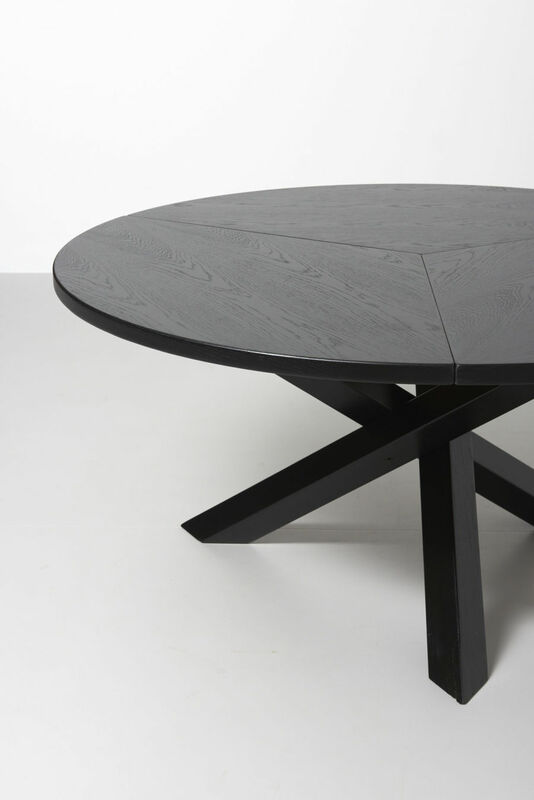 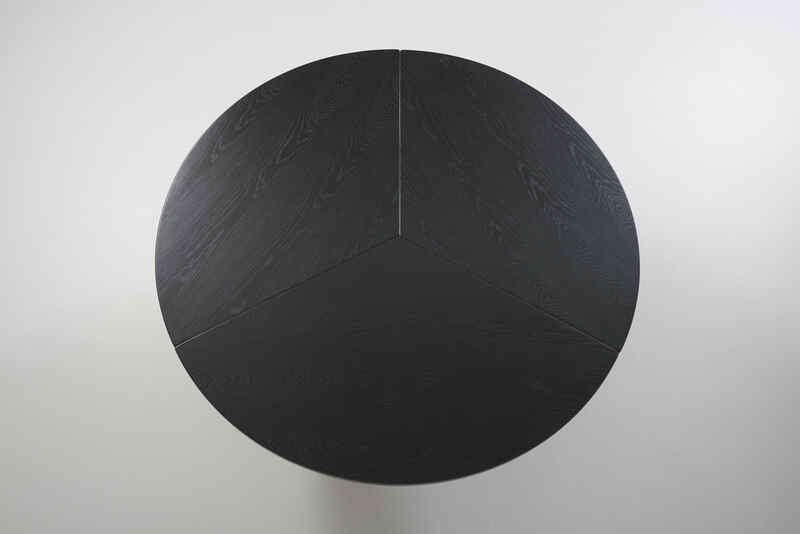 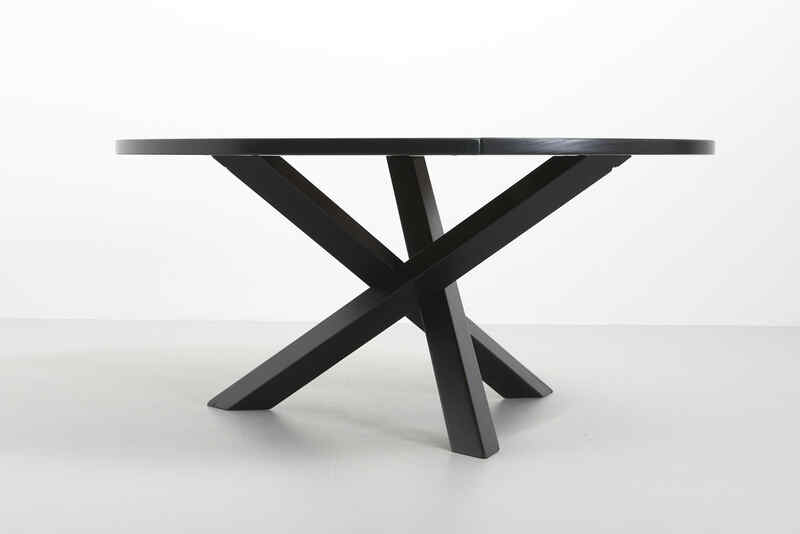 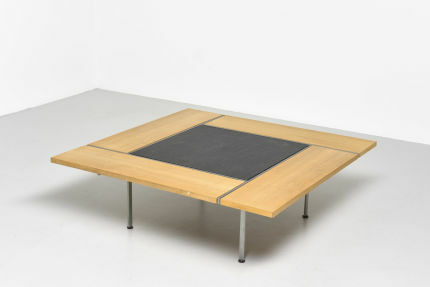 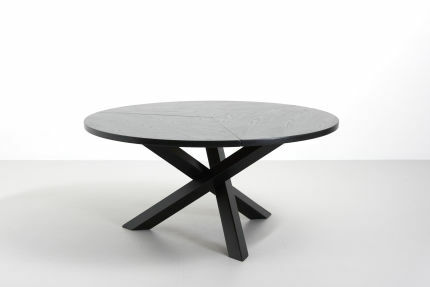 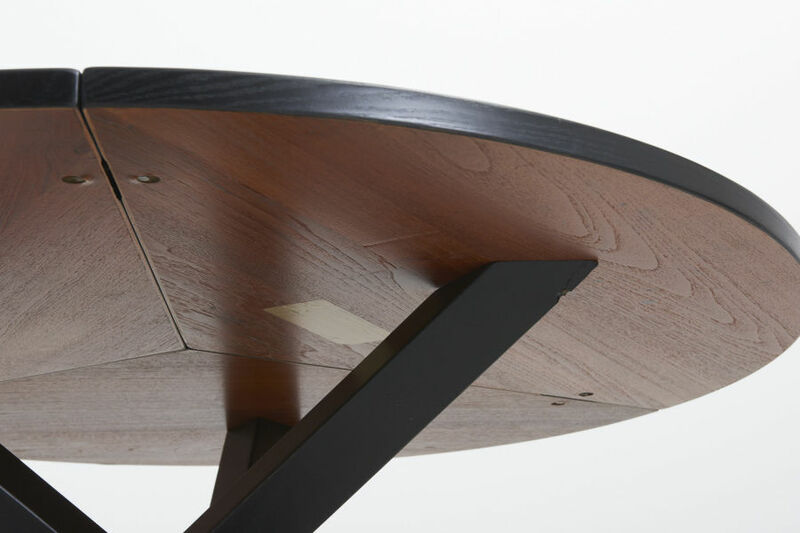 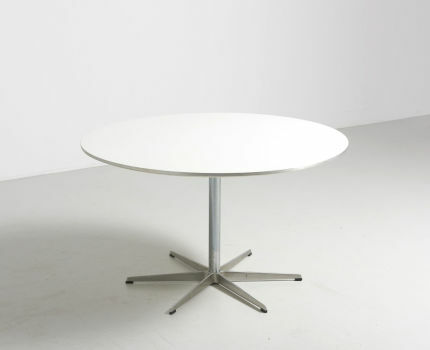 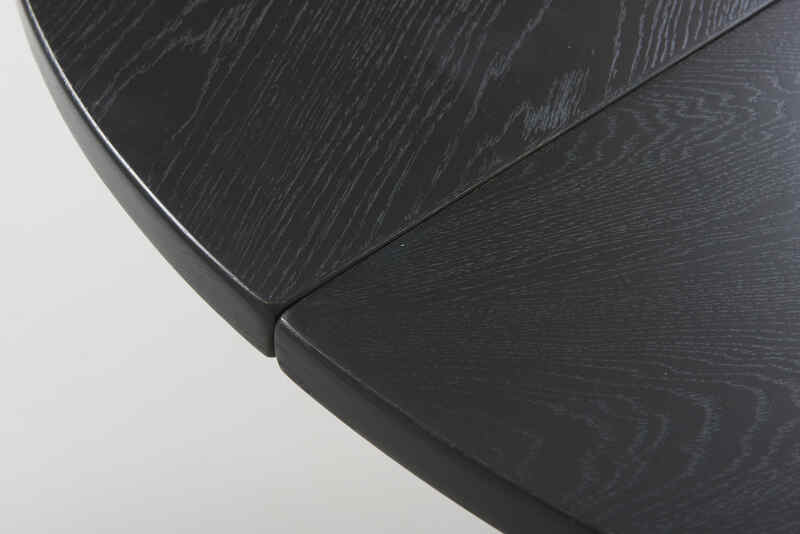 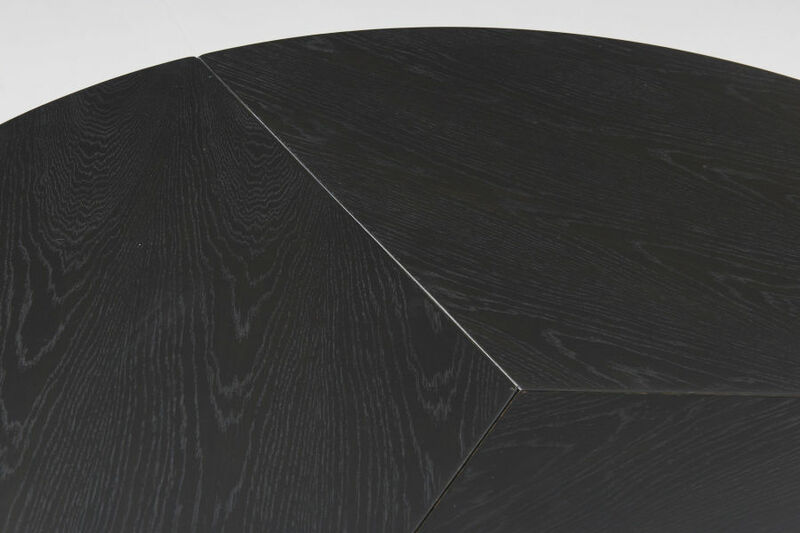 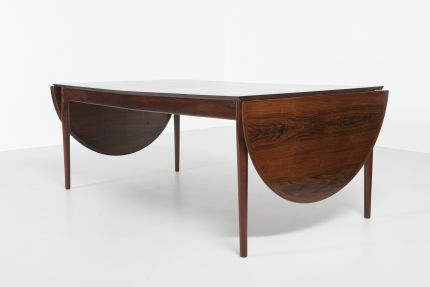 A large round dining table in black lacquered ash, designed by Martin Visser for 't Spectrum, the Netherlands, 1960s. The round top is divided into three parts. 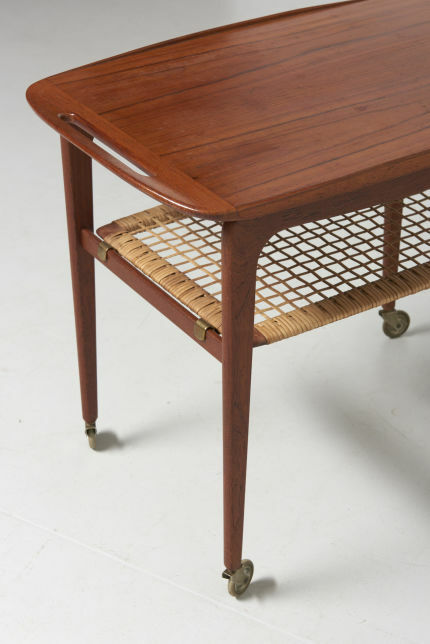 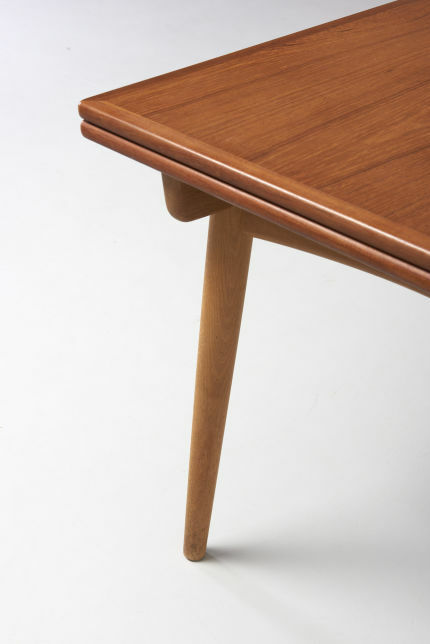 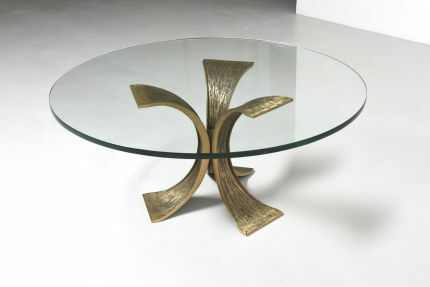 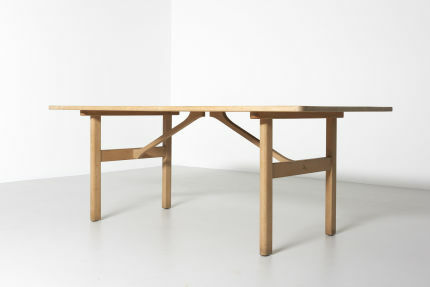 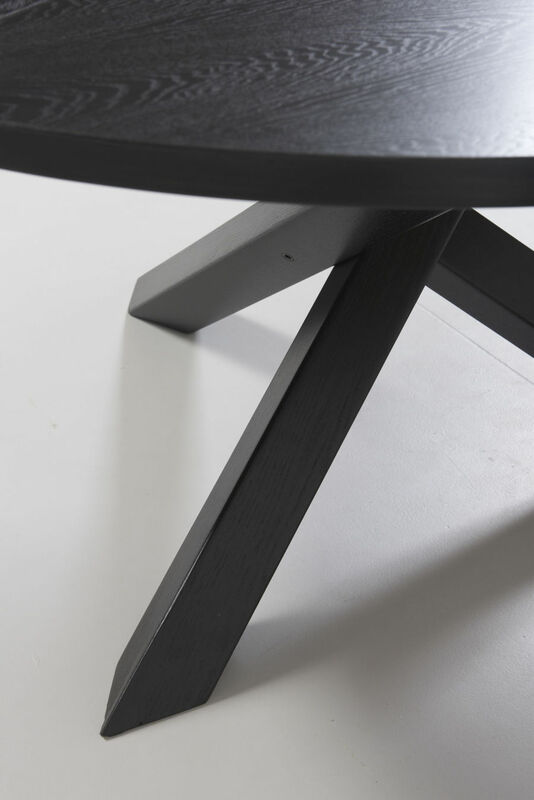 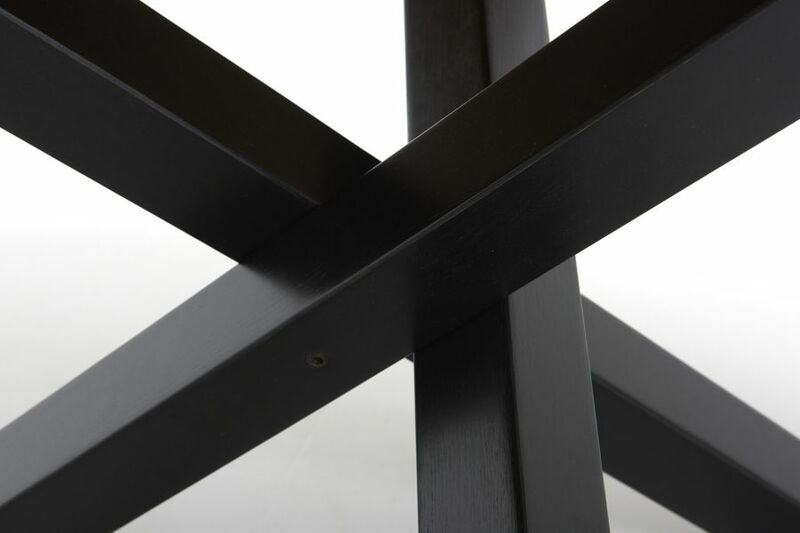 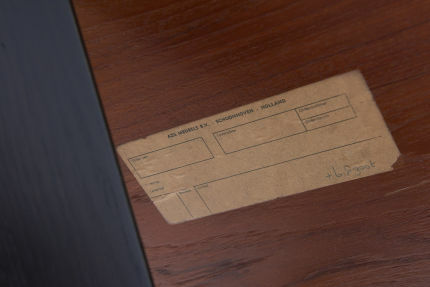 The base consist of three crossed legs of solid wood.